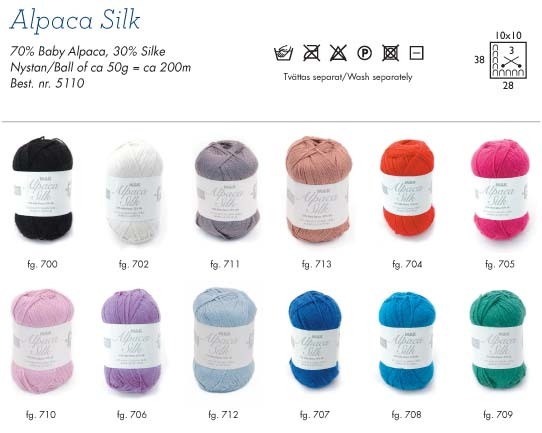 Alpaca Silk is a soft durable yarn suitable for all ages. Excellent yardage and fun colours gives this yarn great versatility. Handwash only.